The Numedic Hydrofan nozzle was designed to save water during washdown of a yard and cleaning of machinery. The specially designed nozzle supplies water in a unique fan shaped form. 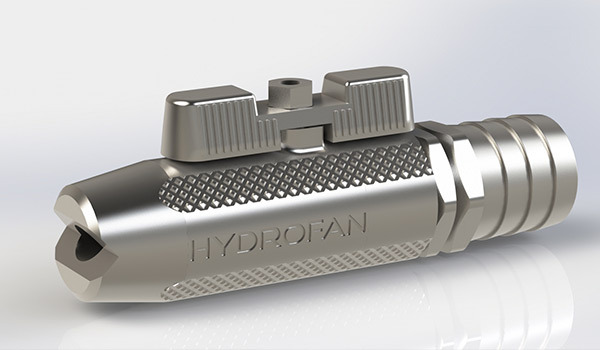 The Hydrofan nozzle has approximately half the water flow of a standard high pressure hose nozzle but is much more efficient in washing the yard down saving water and being faster as well.